Libra, the Scales, is the second sign of the Air triplicity and the seventh sign of the tropical zodiac. This artistic and tasteful sign is ruled by Venus and is the exaltation of . The key phrase for Libra is "I balance". As a cardinal sign, Libra is creative and enjoys initiating new ideas. True Librans are intellectuals, actively seeking knowledge and mental stimulation. They tend to be hard workers, especially after the age of thirty. Being focused on relationships, they have a strong sense of fair play and equity and make good counsellors and diplomats. Librans are good negotiators and are apt to become disturbed when they find themselves around dissension they cannot control. Emotional, physical, and psychological pleasure comes from beauty in all its forms. Books, music, flowers, and perfume are typical delights. If the environment is less than pleasing, Librans can become unhappy without even realizing that the surroundings may be responsible for the despondency. Social grace begins with good manners, extends to high level diplomacy, and ends with abhorrence of disagreeable confrontations. 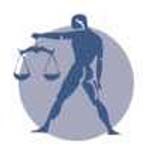 Libra promotes peace and harmony, and usually opts to bypass hostile confrontations whenever some other method can be employed. Some Librans avoid physical activity and are addicted to luxuries and creature comforts. They also tend to be fond of rich and sugary foods, which may result in adrenal fatigue and hypoglycæmia. Each sign rules structural, external and internal relationships. Libra rules the excretory functions through the kidneys and skin. Externally it rules the lumbar region, buttocks, adrenals and vasomotor system. Structurally, the sign rules the lumbar vertebrae. The pathological tendencies of this sign are lumbago, kidney disease, uraemia, polyuria, renal calculi and oedema. Libra rules the kidneys, lower back and ovaries. Lower back pain, and problems caused by too much sugar or rich food are common complaints. Librans are also subject to interminable hovering between alternatives, or inability to make firm decisions, especially under pressure, when they can be pushed by others into taking steps they may later regret. Libra rules the colours ivory, pink, pale green and rose. Libran people also respond well to the healing ray of blue. The birthstone for Libra is the sapphire. Librans also respond to the energies of the opal, chrysoprase and tourmaline. Remember only to wear these stones if you want to bring their influence into your life. More about Gemstones and Astrology. all flowers, but particularly roses (white or pink), daisies, violets, asters, geraniums and orchids; spearmint, foxglove. Desperate, fear of losing control, dread of doing wrong. Need of stability during major life changes, dislike of emotional or physical states. Used in rheumatism and cutaneous diseases; also used in treatment of sore muscles and sciatica. Chamomile, daffodil, dill, eucalyptus, fennel, geranium, peppermint, pine, spearmint, palmarosa, vanilla. The Libran kidney weakness should make one careful of uric acid produced by eating animal flesh. Drink copious quantities of water that has been charged with blue solar rays. Cereals, beans, corn, almonds and eggs are suitable for their protein. Fresh vegetable juices like cabbage, celery and cucumber will keep the kidneys clean and functioning. This is the sign of balance and one should avoid sugar and refined foods and intoxicating drinks. Recuperation comes through mental relaxation and a change in scenery. Click to tell your friends about this page!